I use squeeze bottles to make all my pancake creations and just draw onto my skillet. The beak is a piece of banana, chocolate chips for the eyes and the waddle is red jelly. These just might be a new tradition. Hope your Thanksgiving was wonderful too! It looks like you had a great Thanksgiving! I love the turkey pancakes and the costumes! Super cute! 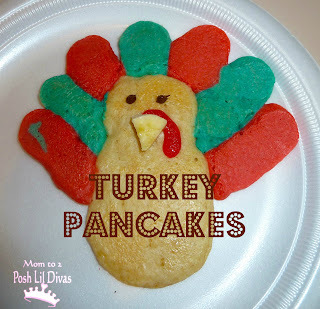 I like the turkey pancake!! Ingenious! 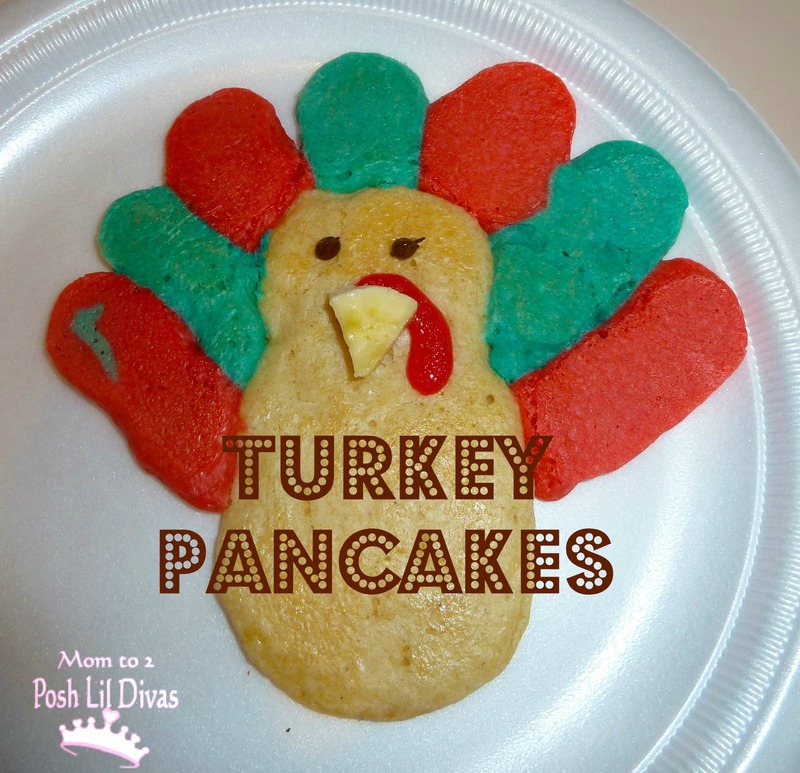 Ohhh nice, we might have to try those turkey pancakes! Wonderful Thanksgiving pictures! Happy Wednesday! Those turkey pancakes are awesome and I love the pilgrim and Indian outfits :) What a fun Thanksgiving! Your girls look adorable in Thanksgiving hats! I found you through Living Life Intentionally.